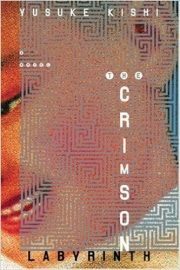 2006’s The Crimson Labyrinth is a stand-alone thriller by Yusuke Kishi. The English-language edition was translated by Camellia Nieh. Yoshihiko Fujiki had it all: a high-status job, a wife who adored his salary and company housing. Japan’s economic woes stripped all that from Fujiki: first the job, then the wife and finally his home. Only after he loses everything does Fujiki grasp the transience of success. Living hand-to-mouth in a squalid apartment, it might not seem that Fujiki has much to lose. He knows better. As far as he has fallen, he can still far farther. Fujiki has seen his future and it’s bleak. Waking up stripped of his recent memories in an alien labyrinth still comes as a rude surprise. I was so annoyed by last week’s Translation Review selection (the Shin Sekai Yori manga) that I hunted down a fan translation of the novel on which the manga was based. Should a North American publisher ever print this or another translation, I will review that as well, with an appropriate link. Hint, hint. 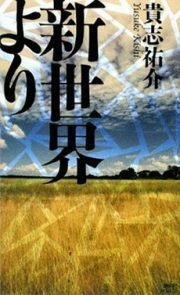 Yusuke Kishi’s 2008 Nihon SF Taisho Award-winning Shin Sekai Yori is a standalone SF novel. A thousand years from now, Saki Watanabe and her schoolmates, Satoru Asahina, Maria Akizuki, Mamoru Itou, Shun Aonuma, and Reiko Amano think that they live in a kindly world, one in which they are protected from danger. Fiends and karma demons cannot be current dangers; they are merely the stuff of summertime ghost stories. Poor coddled teens! They are not safe. Fiends and demons are very real. However, the biggest dangers the children will face will be those created by their own society and their own choices. I had no idea what to review this week … so I left it to chance. Manga Fox’s surprise me option handed me the manga adaptation of Yusuke Kishi ’s 2008 Nihon SF Taisho Award-winning novel Shin Sekai Yori (From the New World ). If there exists a translation of the novel, I am unaware of it. That’s too bad, because the sense I get from the manga is that the novel is an interesting work poorly served by its adaptation into a new medium.